“Ready for Glory” is up at Carolina Quarterly, and a few words about my DUBLINERS Project. Carolina Quartly has published my story, “Ready for Glory,” on their website this week. This is the first I’ve published from an ongoing project I’ve been working on as part of my Ph.D, which is to “adapt” (I put quotes because I’m still trying to figure out what that means) the stories in James Joyce’s DUBLINERS to stories about present day Detroit. It’s exciting to have “Ready for Glory” out first, because it is based on the first story in Dubliners, “The Sisters.” Take a look if you wanna. The second story, based on “The Encounter” has also already found a home. News about that is coming soon. The first few were easiest because they are about childhood, something I love to write about, and because they are in first person. As the project progresses, it gets trickier, but I’m also embarking on the challenges that have drawn me to the project in the first place: to learn how Joyce uses point of view. With every story, I’ve been enjoying finding parallels with early 20th century Dublin and early 21st century Detroit. There are more than I’d imagined. I’m excited to share what is probably the wildest thing I’ve ever published, a short lyric essay about Thailand, Sunday School, Detroit, and dead bunnies. You can read it in this issue of Cahoodaloodaling, which is all dedicated to lyric essays. Pretty cool. 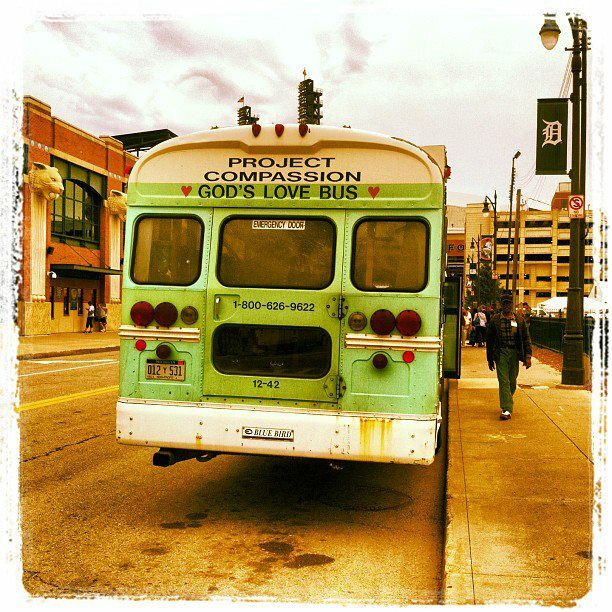 No one social program or policy, no single force, whether housing segregation, social welfare programs, or deindustrialization, could have driven Detroit and other cities like it from their positions of economic and political dominance; there is no single explanation for the inequality and marginality that beset the urban poor. It is only through the complex and interwoven histories of race, residence, and work in the postwar era that the state of today’s cities and their impoverished residents can be fully understood and confronted. Economic and racial inequality constrain individual family choices. They set the limits of human agency. Within the bounds of the possible, individuals and families resist, adapt, and succumb. One of my intentions for creating this website was to have a space for promoting my friends’ work. I have a lot of friends with new books, or with books coming out soon, so I’m here to get that ball rolling with one of my oldest and favorite friends, Khary Jackson. Khary and I both attended the Detroit High School for the Fine and Performing Arts (he graduated a year before me), and he was always a little weird and a lot talented. Usually those qualities come hand in hand (for example, Khary Jackson). One of my favorite memories of him is when I came into our drama teacher’s office and he was standing in front of the television, conducting all of the symphonies along with Tom Hulce in the film version of Amadeus. Khary and I both majored in theater/drama and we competed together on our school’s state champion forensics team. We competed in a dead people competition. Not really. Forensics, in that context, means speech and drama. Khary was one of the most stand out, uninhibited performers on the team, so it’s no surprise that he continues to write and perform his poetry in St. Paul, Minnesota, where he now lives. Few things make me happier than talking to him on the phone, not only because he has a marvelous speaking voice, but because when I’m listening closely, I can catch snippets of the Minnesota accent he’s picked up over the last decade. It’s adorable, though adorable is not a word I’d use to describe his work. His words are imaginative, memorable, and usually pretty heart-wrenching but also pretty funny at times. His poems, like his performances, are uninhibited. There is no fear or hesitancy in Khary’s work, which makes it a blast to read. Frida./This is my city before Motown. It is a body/that walks with no rhythm in its limp./There is no music here but what you scrape from the concrete,/what you break from your back in the liver of a factory. Many of the music poems are conversations: George Gershwin tells Janis Joplin what he thinks of her version of “Summertime.” Leadbelly makes sure Kurt Cobain knows what he’s really singing about. In another poem, Khary ponders June’s reaction to Johnny Cash’s version of Hurt. You know, things you wish you’d thought about before and are grateful to be able to think about from this point on. You can order his book here. *This phrase is an inside joke that I’d be happy to explain in person because it’s pretty hilarious. It’s Malcolm X’s birthday and I’ve been thinking about him since this morning. His life’s story has had a pretty big impact on my white-girl-growing-up-in-Detroit narrative. I think his words have a lot to teach us about writing and living. I mean, they have taught me a lot. One of the greatest gifts anyone ever gave me was the assignment to read The Autobiography of Malcolm X in high school. I think it was my senior year but I can’t remember. Could have been my junior year. I had the same teacher for both. I was one of a handful of white students in a predominately black school. We watched the Spike Lee film in that same English class and there’s this scene in the movie (and if I remember, in the book, too) where this white woman comes up to Malcolm and asks what she can do help his cause. He looks at her directly and says, flat-out, “Nothing,” and walks away from her. She is flabbergasted. Then a bunch of eyes fell on me for my reaction. Fell on me and on the other white girls in the class. I can’t speak for the other white girls, but I know I was devastated when I read and watched that. That moment, and the book in general, has taught me a lot about compassion. It forced me to spend hours with words that challenged me and made me uncomfortable; and this is a big part of what compassion is, I think: the willingness to engage with a different perspective. If you know the book, you know it is about transformation. Granted, I read it a long time ago, but I think I remember that Alex Haley met with Malcolm X at various points in his life for him to articulate the story. Between meetings, Malcolm’s opinions changed drastically. Each moment in the book is like a blazing light in a different color. Blazing, because Malcolm X is so convincing, so articulate, so courageous in his word choice. Each argument mesmerizes the reader. The book ends up being a testament of a person who was always hungry for the truth, who was always ready to stand up and serve the truth as he knew it at various moments of his life. This dedicated search required that he learn new information from time to time. He never stopped looking for the truth and as a result, the truth changed for him. 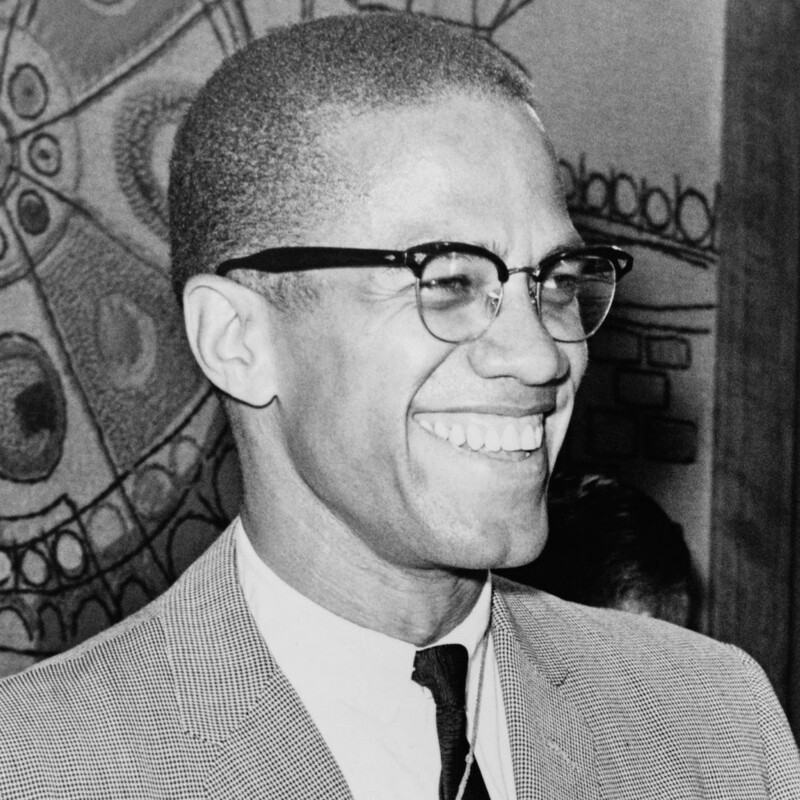 Malcolm X’s story is the story of what happens when a person believes something as hard as he or she can believe it, gets more information, and actually has the rare courage to change that belief. Not only change the belief, but speak out for that new belief. I already wrote an entry earlier this month about how a writer needs to be open to transformation, and so today’s writing thought takes it a step back from that to say that in order to be transformed, we have to allow ourselves to sit in the room and listen to people who disagree with us. We have to engage with our characters when their story makes us uncomfortable–goes to a place we don’t want be. This is more than tolerance—tolerance is sitting in the room with a different perspective without allowing that perspective to change us. Tolerance is cold and has little use for a writer. Instead, we must learn to be uncomfortable, we must learn to acknowledge another person’s perspective in such a way that we let it transform our own perspective. Meanwhile, we also have to know when to speak up. It’s a hard balance. It’s probably the most challenging aspect of being an artist. You might be asking, why? Why do we need to embrace discomfort? Because great writing, I believe, involves a lot of tension and transformation. You must have both of these things to tell a great story.